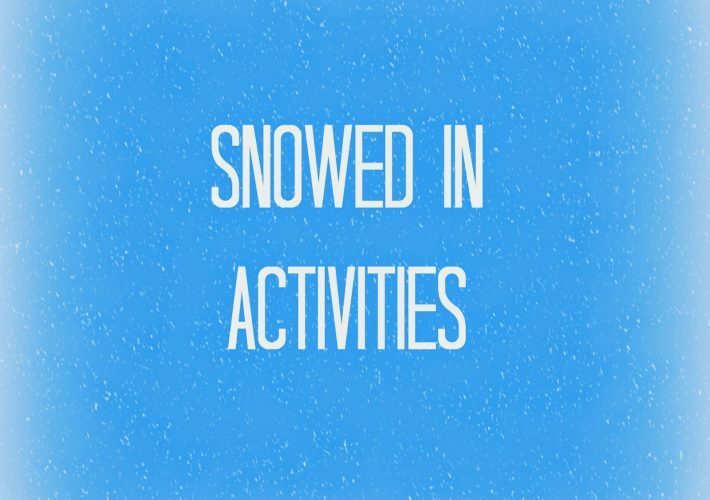 Can you believe it’s already December?! The summer felt like it went on forever but now that it’s the holiday season, time is flying by. And before we know it, Christmas will be here! 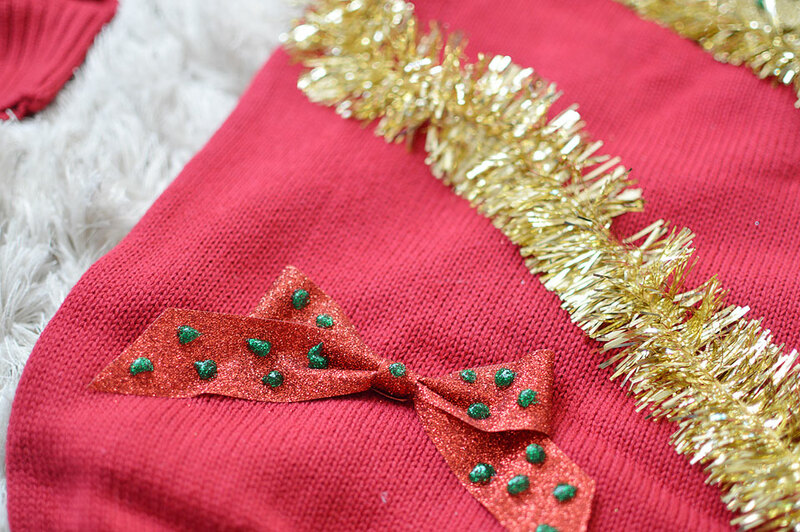 I hope you’re ready for this DIY Light Up Ugly Christmas Sweater. A few years back my family and I started a new tradition on Christmas Eve…ugly Christmas sweaters. We thought it would be fun for everyone to come dressed in ugly Christmas sweaters for our annual Christmas Eve party and because we had so much fun, it’s now become a tradition. 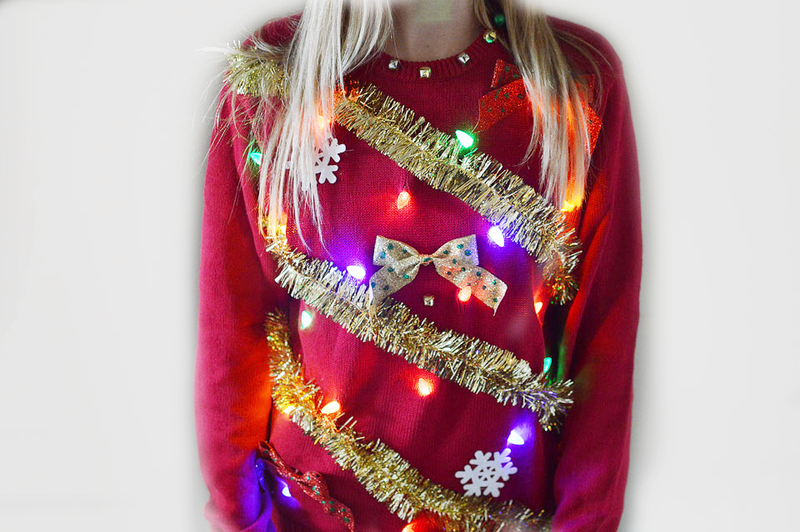 Sweater; a sweatshirt is fine but if you want to string lights through it, I highly recommend a sweater. 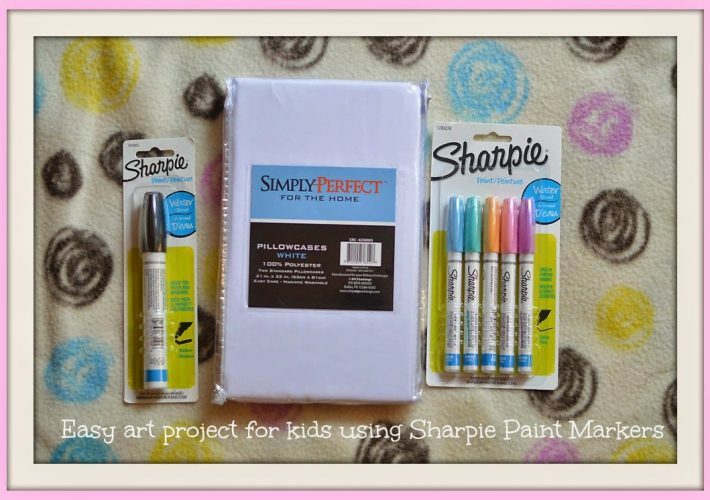 Anything else you want to use to make your sweater super ugly! 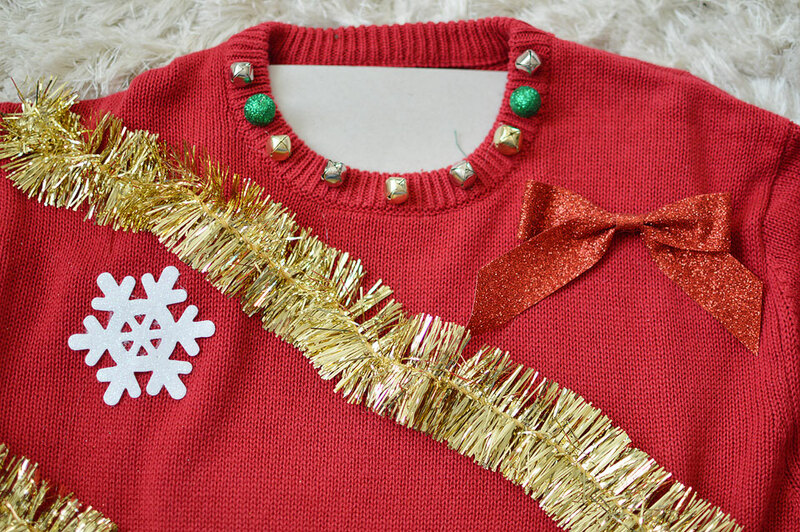 1) Put a piece of cardboard inside the sweater to avoid gluing it together. 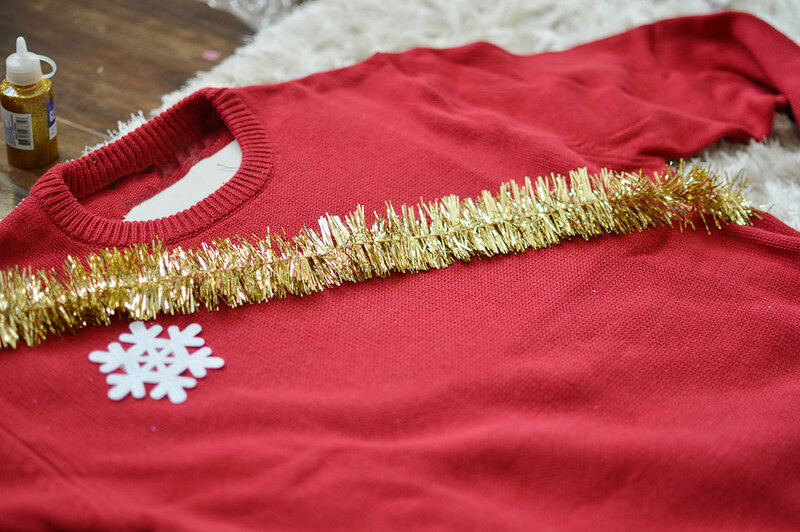 2)Cut your tinsel to fit the width of the sweater. If you want to be super fancy, you can wrap it all the way around. But I decided to go with a nice diagonal pattern. 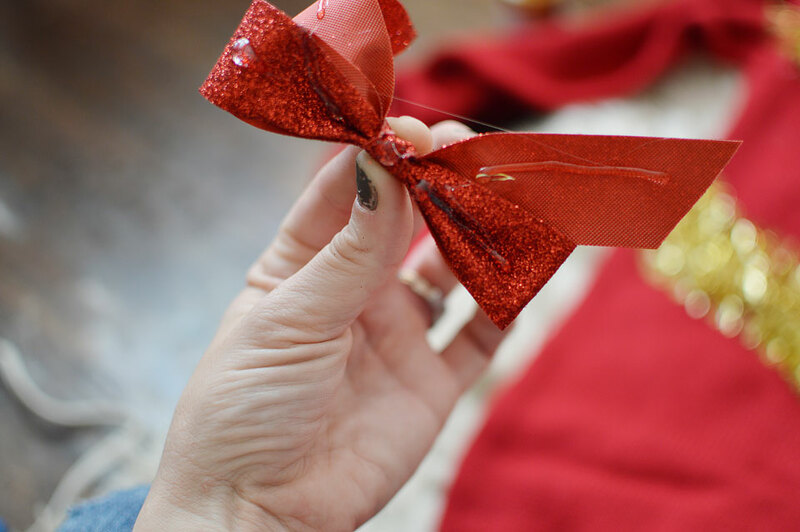 3)Cut the ties off the bow and glue them using the hot glue gun. 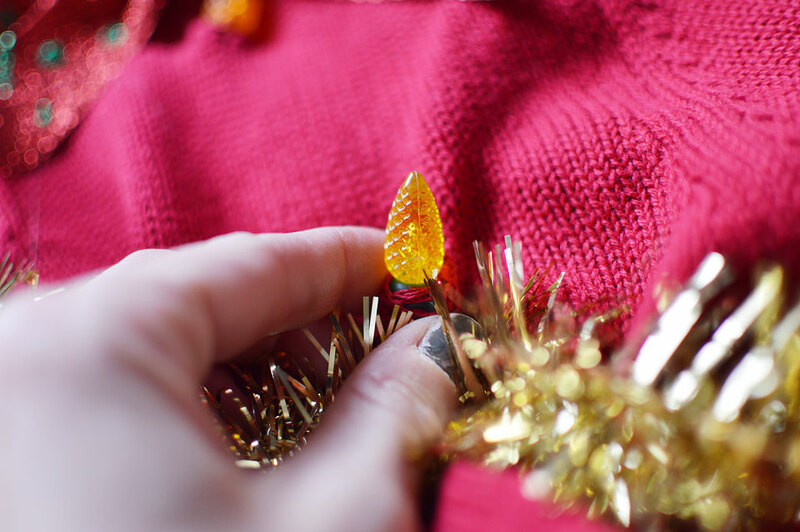 4)Glue jingle bells and pom poms around the neckline. 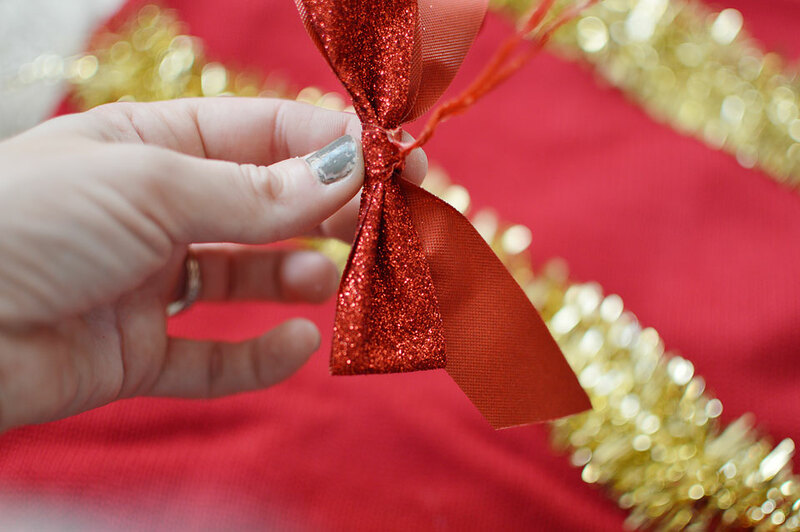 5)Using the glitter glue, make polka dots on the bows. Let this dry overnight to avoid smudging. 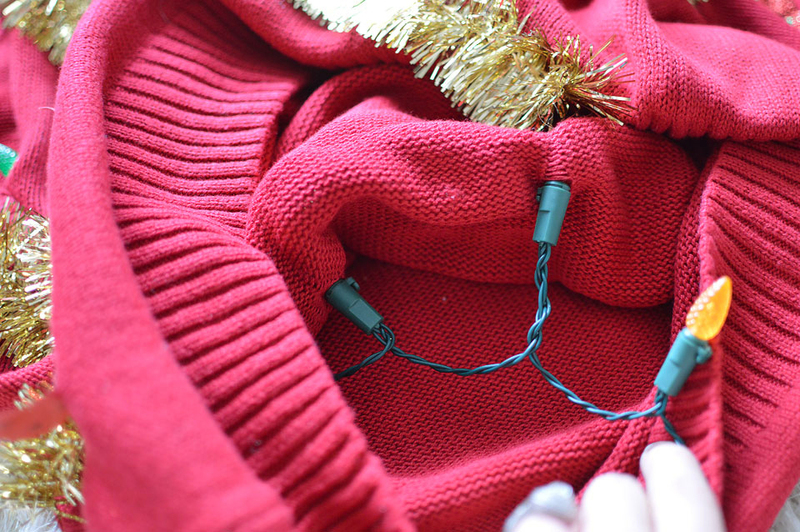 6)Starting with the end of the string opposite of the battery pack, push the first light through the sweater. 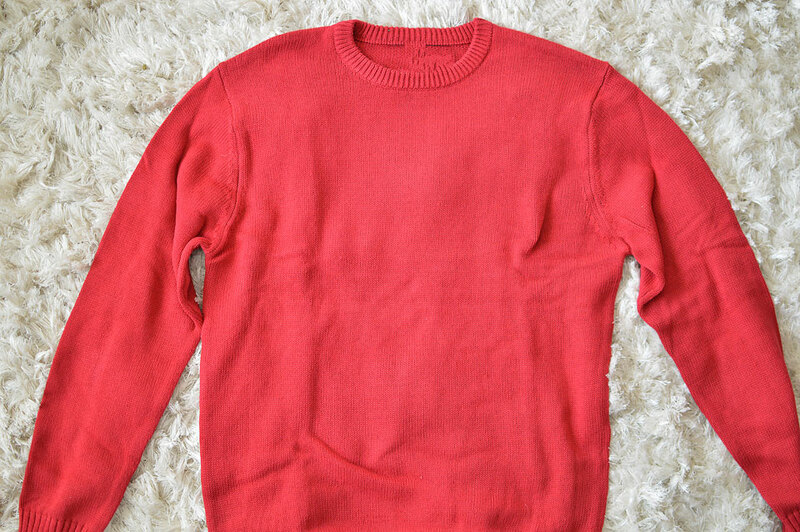 Use a twisting motion and your fingers to spread the sweater. Be careful not to make the hole too big but just big enough for the bulb to pop through. 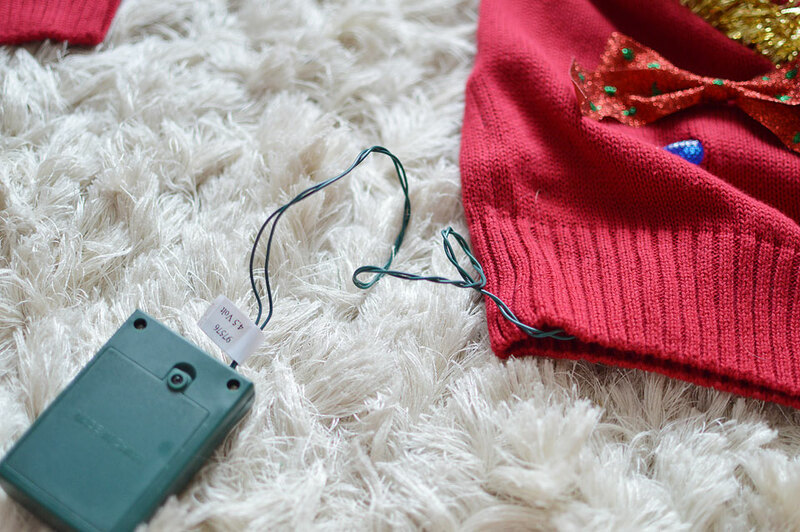 7)Continue zig-zagging down the sweater so that the battery pack ends up at the bottom. You will stick this in your pocket when you go to wear the shirt. Super fun, right?! 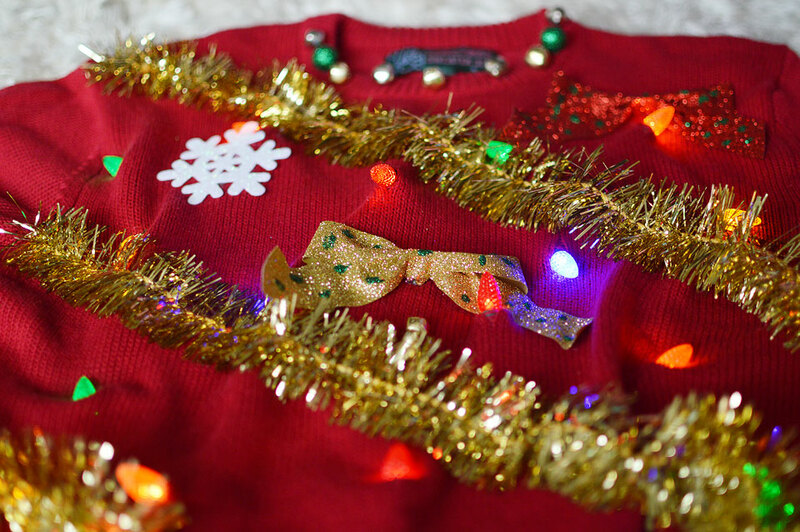 It’s super easy to create this DIY Light Up Ugly Christmas Sweater! 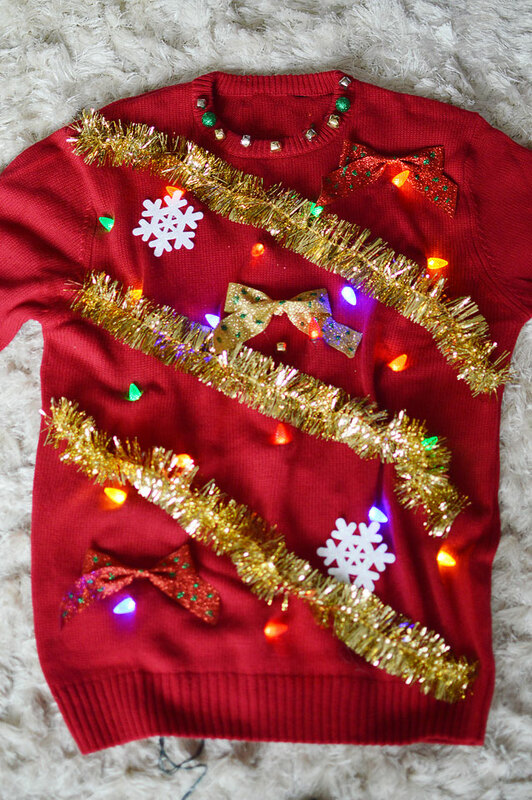 Do you go to any ugly Christmas sweater parties? 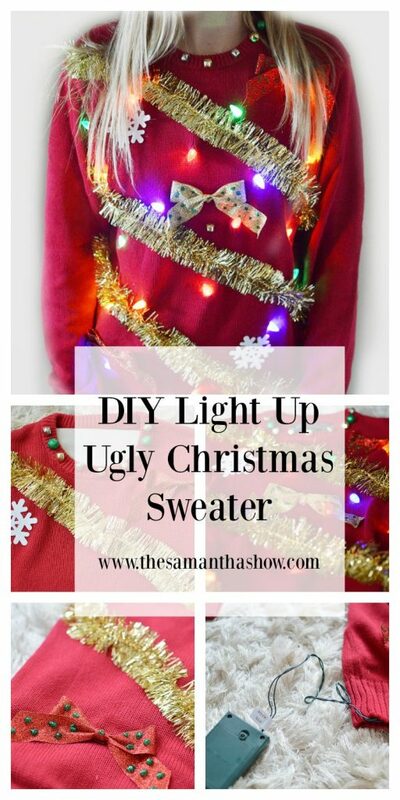 Do you buy or will you do a DIY Light Up Ugly Christmas Sweater? « On Mondays, we recap. Where are those lights from??? Can I know where I can get those lights from ?